A good program for a hotel or a boarding house is the art of choosing the optimal design and professional implementation. We have many years of experience in servicing hotels, boarding houses, holiday homes, sanatoriums, SPA centers, as well as public catering and catering (HoReCa). We help our clients to choose among the numerous systems on the market, we try to advise solutions that are optimal in terms of specific of their work. We approach each project individually. Hundreds of successful implementations throughout the country give our specialists a feeling of being experts in the field of "recreation time." IzzyHotel is a program for managing a hotel, conference center, recreation center, sanatorium, boarding house, etc., it is the successor of the famous HotelOnLine program. IzzyHotel program is created on the basis of 12 years of experience in creating software for hotels, that’s why it takes into account previous experience, opportunities for new technologies and customer expectations. X2System for hotels is a software package that, thanks to the modular structure, can be adapted to the individual needs of each hotel. The package includes special X2Hotel software. The system can be successfully integrated in other software packages of the X2System series, especially valuable is the productive interaction with the program serving the public catering. 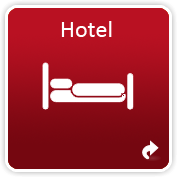 X2Hotel finds application both in small and medium-sized, and in large hotel facilities. The great flexibility of the system configuration allows its successful applying in boarding houses, motels and hotels, in particular in objects with a wide offer of restaurant and hotel services. HotelOnLine is a hotel, conference center, recreation center, sanatorium, boarding house, etc management program. HotelOnLine in conjunction with the 4Rest / izzyRest program for catering creates integrated computer systems that allow you to successfully manage your hotel and restaurant. The open structure of the programs allows the user to select all available vocabulary lists, reports and printouts according to the needs. The system is a Polish product and fully complies with the current legislation.